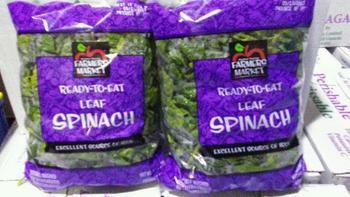 The Horton Fruit Co. of Louisville, Ky., is recalling select bags and containers of fresh spinach that may be contaminated with Listeria monocytogenes. There have been no reports of illness related to the recalled product. Customers who purchased the recalled products are should return them to the place of purchase for a full refund. Consumers with questions may contact the company at 502-969-1371, Monday through Friday, 9 a.m. – 4 p.m. (EDT).